I caught up with Navajo jewelry and fashion designer Orlando Dugi to chat about the recent Fashion HEAT show that was held at the Museum of Contemporary Native Arts during the Santa Fe Indian Market. 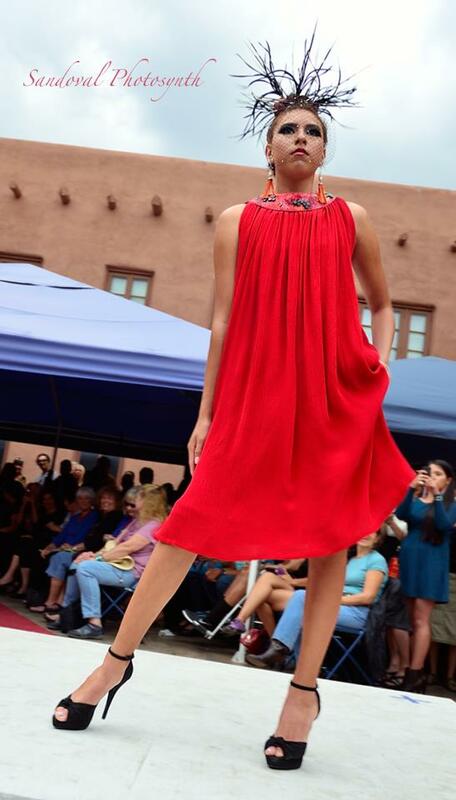 Organized by contemporary Native American and First Nations art scholar and curator Amber-Dawn Bear Robe, the fashion show was one of the most talked about events during the weekend. 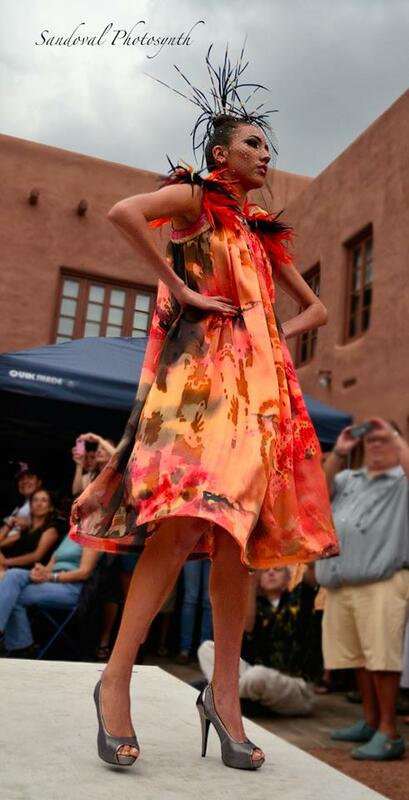 The show featured some of Native America's topnotch fashion designers, and there's already talk about planning for Fashion HEAT 2013 (that's what I like to hear!). Dugi is one of my personal favorite designers because he is constantly pushing himself and creating new items to show off. I remember when I first met him during the Heard Indian Market, and it was then that he said he's starting to dabble in fashion design. That was just two years ago. He had already won awards for his beadwork purses which play on realism and fantasy, so when he began fusing his beadwork with dress designs, the results were, as expected, glamorous. 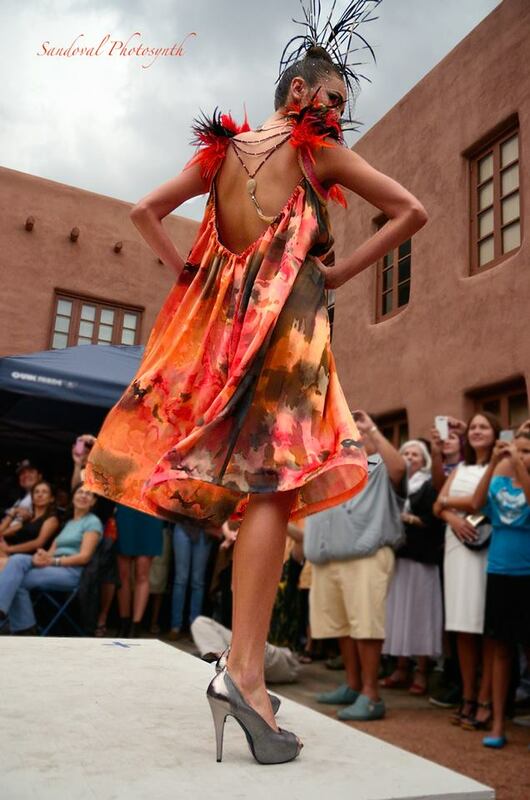 Read below to see what Dugi had to say about his latest collection, which debuted at the Fashion HEAT show (Note: All images courtesy of the super cool Sandoval Photosynth. BB: Fashion takes a long time to produce. When did you start planning and making this collection? OD: I did the sketches in May and started the beading in June through July and the sewing the end of July riight up to the day of the show. BB: What were some of your inspirations for this new collection? OD: I wanted to do something that was a bit more flirty and youthful. My past work has all been very regal looking and feeling. And also all of those have been handsewn. But this time I used a sewing machine for the first time, though there's still alot of handstitching involved. 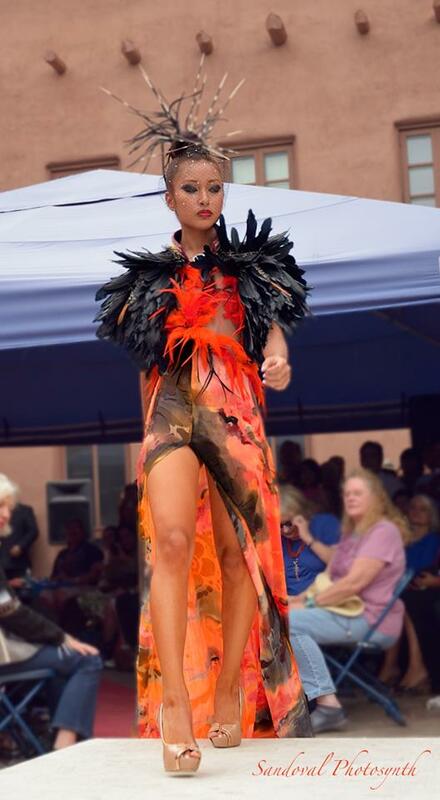 This collection is about fiery fierceness, passion and confidence. Like a Southwest sunset. BB: People talk about the individual details of your work, in part because we like that you break out of the box when it comes down to the basic materials you use. Can you tell us exactly what materials you used for these designs? OD: All the fabric of course is 100% silk. I love silk! Silk thread. I also used glass beads, some stone beads, 24 kt gold beads, sterling silver beads, pearls, Swarovski crystals, diamonized black spinal, olive quartz, dendrite agate (Madagascar), Brazilian druzy quartz, sterling silver, hackle feathers, duck feathers, goose feathers. BB: How does this collection relate to or depart from your other collections and your other jewelry? OD: They all evoke beauty and elegance. But in this collection I did my first cocktail style dresses. Before I had only done evening gowns. BB: What is the easiest part about being a designer? OD: I'm not sure if there really is an easy part. BB: What's the hardest part? OD: Keeping up with myself. BB: What was it like being a part of Fashion HEAT? OD: I was nervous about showing along with the designers in the show. I always get nervous but it was fun and I am happy to have been asked to be a part of the show. BB: Do you have any advice for aspiring designers? OD: As I am also an aspiring designer all I can say is do not be afraid to take chances and break away from the norm and always enjoy what you do but work hard.